I make collages with real time materials and little or no digital manipulation. 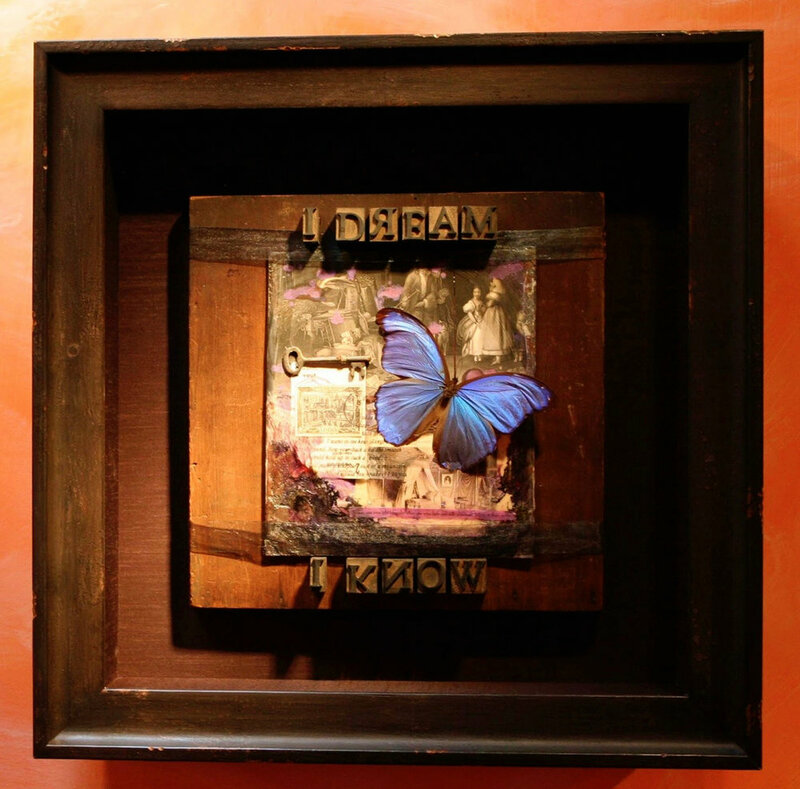 This image is the detail of an assemblage (pictured below, the framed original when it hung in the gallery.) The letters (I Dream I Know) are from a set of antique wooden letterpress letters. I used to own a real life old style letterpress which was purchased in Ohio and donated to the museum in Santa Fe when I left there. The butterfly is a morpho butterfly. I had access to an incredible array of butterflies which I incorporated into a lot of my work. The butterflies lived a wonderful life on a farm and died naturally. The illustration is an antique engraving from a very, very old book. I love working with real and very old objects. It’s like giving new life to things that might not get our attention in the course of our every day lives.